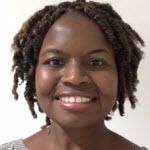 Jennifer Otitigbe is a User Experience Researcher at Google. She generates insights on how people implement AI and Machine Learning for the Cloud AI team. Her prior professional experience includes; enhancing the user experience of products, services and Information & Communication Technologies (ICT) with an emphasis on inclusive or universal design. She studied engineering and design from RPI, Stanford and MassArt.